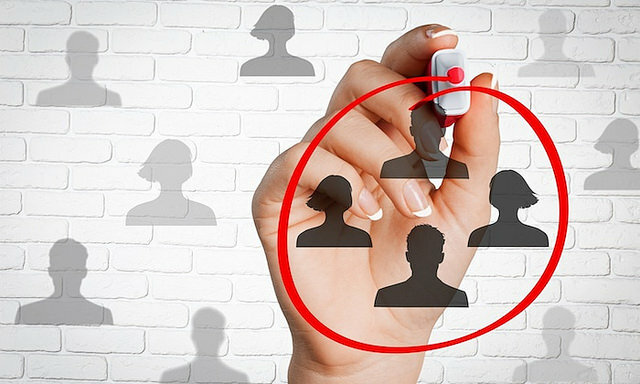 Why you need to define your target market? If you do not clearly define your target audience then even the most brilliant, creative piece of marketing doesn’t stand any chance in producing a successful campaign. A random scattergun approach or attempting a one-size fits all strategy when contacting your prospective customer base is ultimately time consuming, costly and inevitably it will produce a very poor return for all your efforts. The strong likelihood over time will lead to your own personal demotivation as well as you making ill-judged decisions such as budget overspending in quiet trading periods. List your products or services – then define exactly who really needs to be informed about each one. Naturally there will be some cross over but you will also recognise the significant differences. Review your current customers – what does their profile look like? Have an in-depth conversation with them and try to complete all these tips on them all, or at least a worthwhile cross-section. Consider your ideal customer – how would they differ from you existing customers? Even visualise them or go as far as drawing pictures or graphs to plan you strategy. List their characteristics and demographics – their age, gender, marital status, children, income, employed/retired, occupation, location. These all help pinpoint and define your next campaign. Do you know their interests? – their lifestyles, choice of holidays, hobbies, where do they socialise, their general habits. Research the other products and services that they purchase. Is this online activity? If so what websites do they browse, what blogs do they read, who do they follow, watch, read? What conferences exhibitions or events do they attend? What are their personal needs and motivations, goals and values – what really influences their decision making? What will make them buy your product / service? Do your customers have definable problems, pain points or other issues that your business can alleviate? Just as important for you to understand is what type of customers you do not want. That way you will avoid time and expense on contacting prospects that will never buy! What resonates with your customer? What makes them laugh, what grabs their attention, or makes them stop and click on a social media post. Showing that you understand them will engender brand loyalty. The bottom line to reaching your target audience is that the more you know about them and their individual needs then the easier it becomes to promote effectively to them each and every time. The result can only be to your company becoming more effective and profitable. As the name of my company clearly indicates The Little Marketing Co. is here to assist with all aspects of your own marketing. Including how to successfully identify and target an audience or prospective client base for small / medium businesses effectively and without eating into your busy schedules.